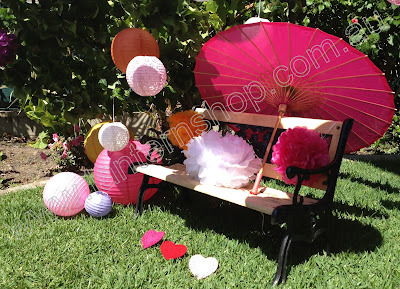 Lanterns, pom poms and parasols can be used in many different ways to create fun and colourful garden party decorations, for high tea parties, or childrens birthday parties. 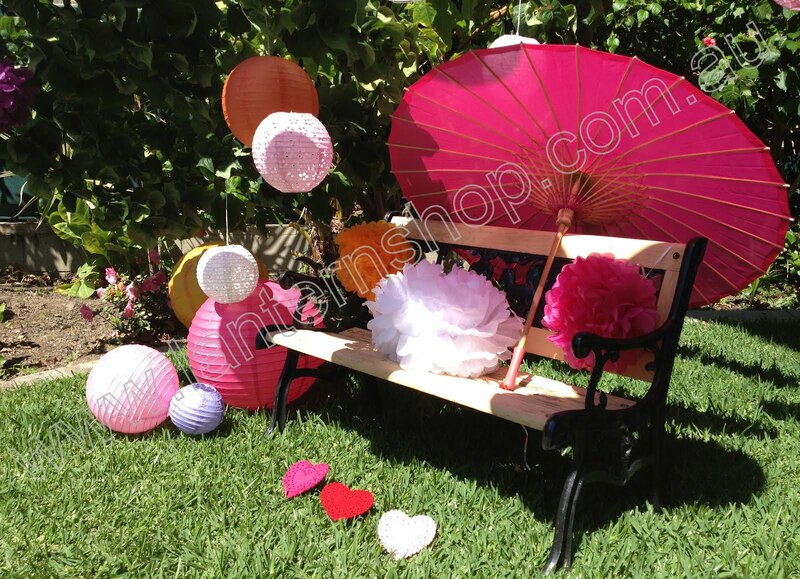 Featuring our felt hearts (sitting on the grass), tissue paper pom poms, nylon parasol, paper lanterns in 12.5, 20 and 35cm sizes, 14cm deluxe (lace look lanterns) and irregular paper lanterns in 35cm size. Quick and easy set-up (no ladders, wires, pins), and all of our paper lanterns fold flat again after using, so you can use over and over again! 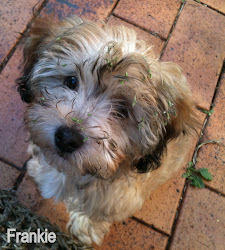 (good for the environment, and great for your wallet)! !